Shoes don’t prove anything. Just like now they are magically starting to claim that thousands of puerto ricans that noone knew existed somehow died but their bodies will never be found? Better not ask too many questions there, you might stumble across narratives that don’t fit together. It’s becoming more and more obvious every single day that the entire thing was a hoax. And the day that a certain number of people wake up to that fact. Well, maybe it will stop being a hoax. Shoes, hair, teeth prove nothing. You people are so sad… Worse than ancient astronaut ‘theorists’ or the alternative archeology people. You all want physical undisputable proof that Jews were gassed to death, and yet your ‘proof’ that it didn’t happen are all ‘common sense,’ intuition, things that you believe to be lies (with no proof) and problems with dates in survivor stories. A survivor saying that a person was in a camp in 1942, when its known the person left the camp in 1941, is not proof that the Holocaust didn’t happen. Its not even proof that the survivor’s story is a lie. If you know of any books or articles that prove the gas chambers, please provide book titles or links to articles. Kyle, how did gas chambers operate? 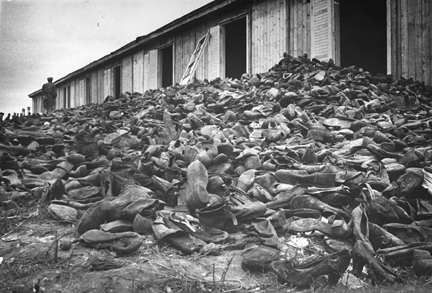 Thousands of innocent Jews exterminated … in Kentucky! 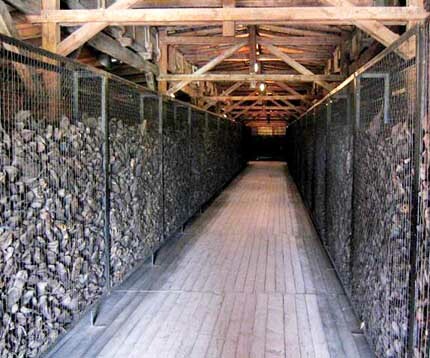 The ‘argument’ can easily be reversed and prove that there was no extermination policy at Auschwitz. 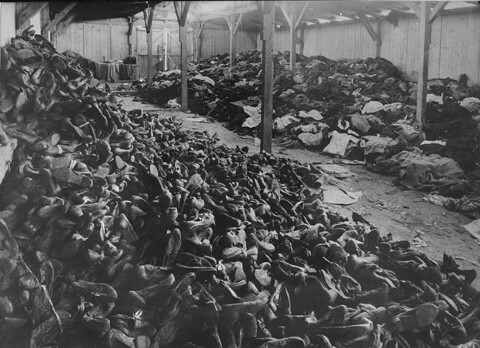 Had the Nazis exterminated hundreds of thousands of Jews at Auschwitz, would they have left tons of hair, clothes and shoes behind them? If you killed somebody in your house, would you leave his bag, clothes and other personal belongings in your house after making huge efforts to make his body dispappear, so that the police could find his belongings in your home and link you with him? Senseless. We can deny anything; whatever our heart desires! We are the citizens of a free country. 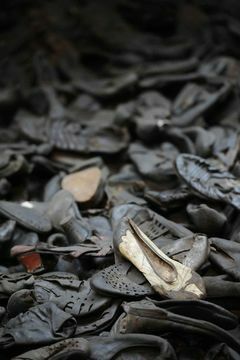 We have not seen any valid proofs of “holocaust”. We haven’t seen the complete list of “6 mil.” “holocaust” victims. The German war economy was the “greenest ” and most environmentally friendly economy imaginable. 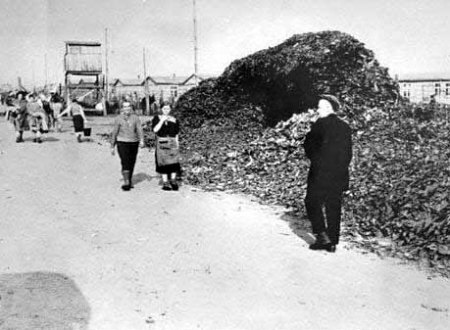 Everything was recycled.The concentration camps were collection points with enough labour to repair and refashion. The piles of shoes are proof of this. Here is a Wochenschau from 1945, see 2.45 min in. The Nazis were evil evil people and yet you choose to perpeteuate holocaust denial. How very sad. 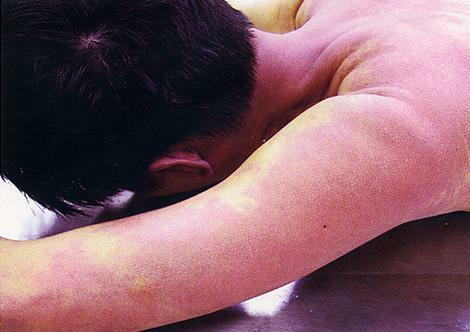 What does the body of a gassed person look like? Are there any photos of a person who was gassed in a real gas chamber, such as the one in Jefferson City, MO? Fred Leuchter, the gas chamber expert, who has no degree in Engineering, would know what the body of a gassed person looks like, but he has gone into hiding. A gassed person would have had a pinkish-reddish color (something like this: http://www.nazigassings.com/images/Gresham/GAGreshamfig59p74wCaption.jpg – http://revblog.codoh.com/wp-content/uploads/2011/06/nrtkcoill3.jpg – http://writersforensicsblog.files.wordpress.com/2013/04/lividity-co.jpg?w=300&h=157) making him/her look surprisingly alive and in good health for a dead, often with darker stains (because of gravity and an accumulation of blood in some parts of the dead body). That is true for cyanide gassings and carbon monoxide gassings. Carbon monoxide is even used by meat industry to make meat look red and more attractive for consumers (http://themoderatevoice.com/wp-content/uploads/2013/09/meat_before_after_carbon_monoxide.jpg – http://media.treehugger.com/assets/images/2011/10/meatgas.jpg). But no alleged witness, Jew or perpetrator, ever reported such a color. 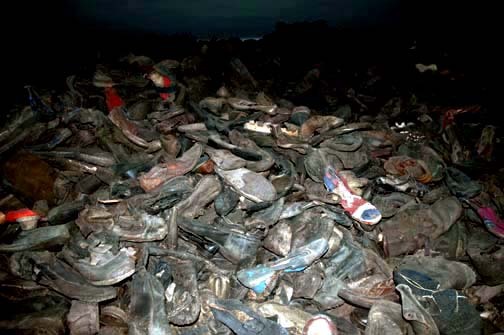 Some alleged witnesses to gassings ‘reported’ blue, black-blue, green, blue-green or even yellow (Yankel Wiernick) corpses. But never red, pink or pink-red corpses. Not even one! Even Franz Stangl, the commandant of Treblinka and Sobibor, patently ignored what the corpses of people gassed with carbon monoxide were supposed to look like! 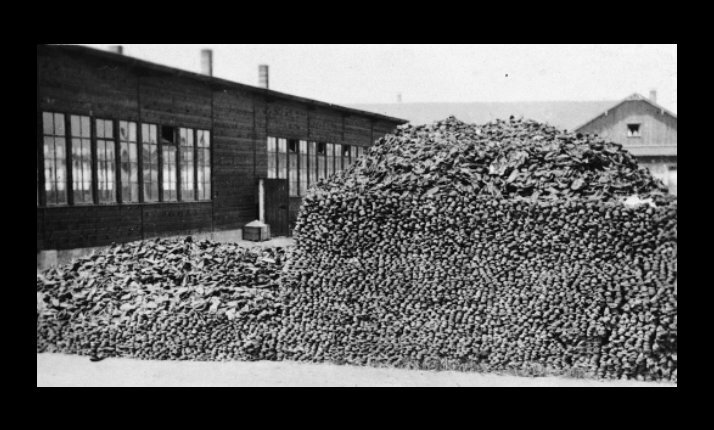 The Nazis solved the problem to use for the mass killing the Zyclon B gas but kept secret about thechnical data and they needed to spare oil, Mr Leutner set up gas chambers for individual “lawful executions”.